Three years ago I was standing outside my house where I was about to get evicted from. It was one of the most depressing hardest moments of my life. I was having the worst depression and anxiety I had ever had. I was the heaviest weight I had ever been and it just kept crawling up. I was in a downward spiral and at that point I wasn't sure I would ever see the light again. I spent so much time trying to find something outside of myself to make me happy. With Food, TV, relationships, Shopping, anything that made me happy. These things did but only temporarily. The things I was really searching for I had no clue about. I knew I needed to make a change but I had no idea where to start. I had always had some sort of spiritual practice but I would never stick with it. But, I didn't know what my path was. And for a few months at my worst I even questioned having a spiritual practice because I doubted there even was a higher power or God. A Few months before This I had read" Miracles Now" from Gabrielle Bernstein. I needed a miracle and I now know that everything happens for a reason. It sent me on the path of discovering Kundalini Yoga. Little did I know how life transforming this practice would become for me and for the first time in a long time I would finally feel connected to God again. But, I wasn't in a full time practice. With all the stress in my life it was hard for me to see the benefit in taking care of myself. For years I struggled with putting others people's needs before my own. People came before my health, my fitness, my passions, and my dreams. I always put myself on the backburner. I love helping people and that is still a passion of mine. But, I've learned over the years that "you can't serve from an empty vessel." Then two years ago I found my passion for health and fitness. 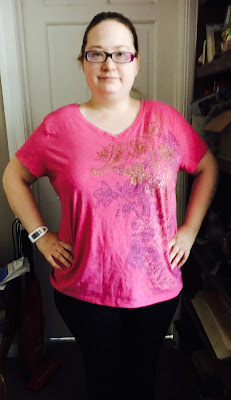 I started doing 21 day Fix and Piyo. But, I was trying to go alone. I'm one of those people that hates to ask for help. So, once again I ended up putting myself on the backburner and I literally kept getting sick. I was sick for about 6 months straight. Every Month it was something new or something would return. My body was calling out to me trying to tell me something was severely wrong in my life. There was a reason I was unhappy, anxious, stressed out, and sick all the time. The best decision I ever made was when I decided to start taking care of myself and making myself a priority. Yes some days it can be a struggle and I need to remember to set boundaries. Some things are obligations but somethings are not. I started listening to my body. I started feeding my soul with meditation, affirmations, journaling, and personal development. I started feeding my body with superfoods, healthy eating that actually nourish my body (and now I actually crave) , and working out. I don't work out to punish myself I work out to take care of myself. The best day of my life was the day I decided that I AM worthy of taking care of myself. I AM worthy of being healthy. I AM worthy of being happy. ANDGuess What....? So are you! You are totally and completely WORTHY You are WORTHY of being healthy, you are WORTHY of being happy, you are WORTHY of having your dreams come true. In January I had a complete radical mindset shift. And I signed up for a challenge group. I knew I couldn't do it alone. I have an amazing coach who has helped me every step of the journey. I've seen her life transform and I see my life transforming. That's when I decided this was something I wanted to do to help other people. I don't want to see people stuck like I was. I'm not sure if I would have stuck with it (especially on the hard days) if it wasn't for having support. Since January I have lost 15 pounds and 25 inches. If You want info on my next support and accountability group fill out the form or shoot me a comment/message. I would love to support you on your journey! !